Rex is here to fill in while stuff is in development! I drew him using a handy dandy monoprice tablet I just got. This is my first painting using it. I inked it and lettered it in another new tool I got – Manga Studio 5. Together – what a combination!!!! !Be forewarned though, if you buy a monoprice tablet, be sure to get the firmware update and get the latest drivers from the website!! Mine didn’t work properly until it got it’s firmware updated! Otherwise, it is great! 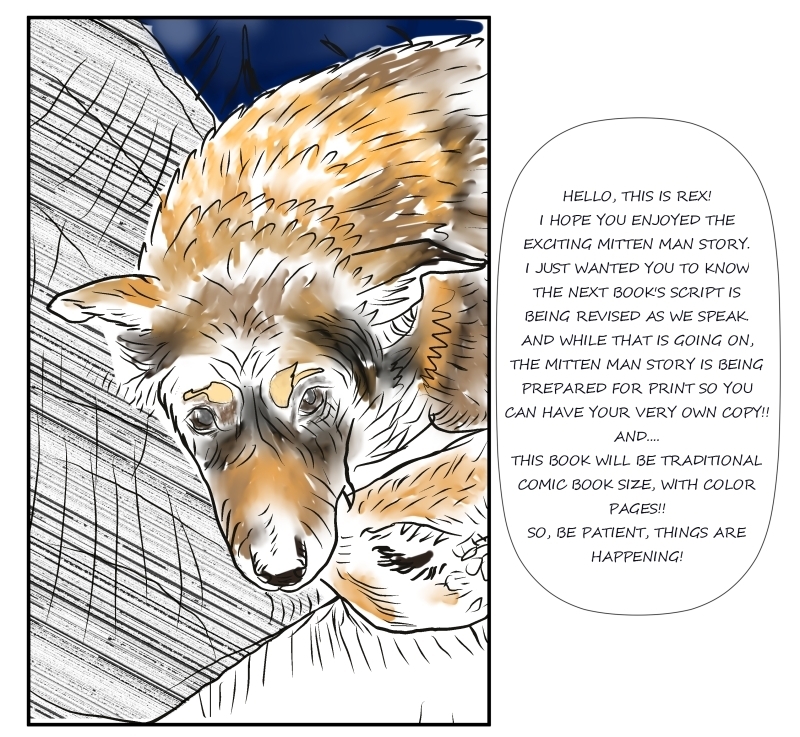 So this last week has been about laying out the book for print, and revising the script for Smithee’s origin, and getting used to a drawing tablet and new comic making software. I feel like I got nothing done! But, I sure have learned alot!